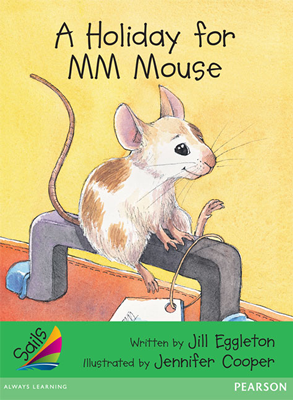 A Holiday for MM Mouse is a humorous, fictional story about MM Mouse, who sneaks into Harry’s pocket and travels with him on a trip to a fancy hotel. The room prices are very expensive for Harry and his father, as well as other potential guests, but when MM Mouse jumps out of Harry’s pocket, all the guests are scared off. Because Harry and his father are the only ones who stay, they are offered a large room at a discounted price. Illustrations support interpretation and enhance enjoyment. Illustrative text is used. Thought bubbles are used. Some sentences begin with dependent clauses. Simple connectives such as and connect two ideas. To conclude, a set of hotel rules is shown. In addition, simple activities that include oral, written, and visual communication are presented in the Teacher’s Guide Notes. 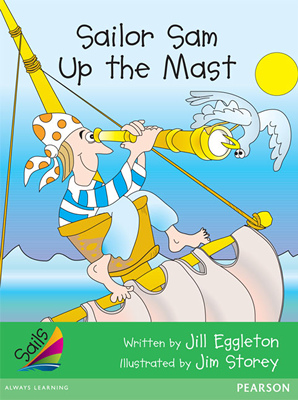 This title is from the Sails Literacy series. Hook readers and ignite their curiosity – over 850 levelled texts with bright, colourful, sophisticated designs. A Bird’s Eye View is a realistic fiction that allows readers to become more familiar with maps, bird’s eye views, legends, and directions through different events introduced in the text. Questions are asked that encourage readers to locate buildings on the map and plan out the most effective routes for rescue workers. Illustrations carry much meaning when paired with written text. Illustrations add detail and interest to the text and are found on each page. Callouts prompt prediction and allow students to make inferences. A two-story home plan is presented and readers are encouraged to locate the cat by using another image as a clue. An index is presented. Some sentences begin with dependent clauses. Three bulleted lists are used. 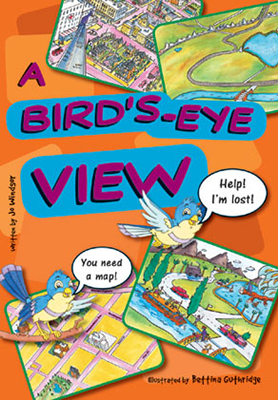 To conclude, a labels page comparing a bird’s eye view and a map, encourages readers to find similarities and differences. In addition, a word bank with text and imagery is provided. 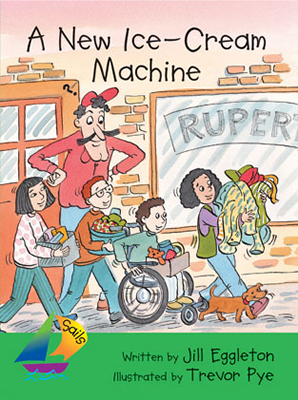 A New Ice-Cream Machine is a humorous, fictional text about a favourite ice cream shop that is going out of business because the owner’s ice cream machine breaks down. The children decide to run a flea market and collect all the clothes, toys, and games they can find. Parents soon realize that the children took their clothing from home and have to pay money to get their clothing back. The children give the money from the flea market to the ice cream shop owner and he is able to buy a new machine. Illustrations support interpretation and enhance enjoyment in this narrative text. Illustrative text is used. Speech bubbles appear. Some sentences begin with dependent clauses and many adjectives appear in the text. Simple connectives such as and connect two ideas. To conclude, the signs that the ice cream owner puts outside of his store are shown. In addition, simple activities that include oral, written, and visual communication are presented in the Teacher’s Guide Notes. 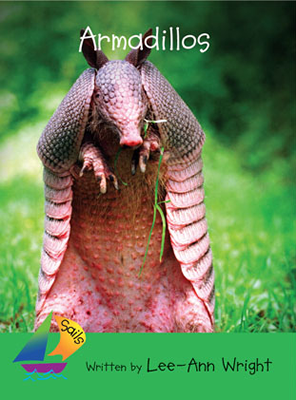 Armadillos is an expository text about an armadillo’s body and life, as well as their babies, their homes, and how they look for food. Photographs are labeled and include some captions. A flow chart shows how an armadillo rolls into a ball when it senses danger. A detailed index is provided. Some sentences begin with clauses and simple connectives such as but and and are used. Interest words include armadillo, scales, and burrow. 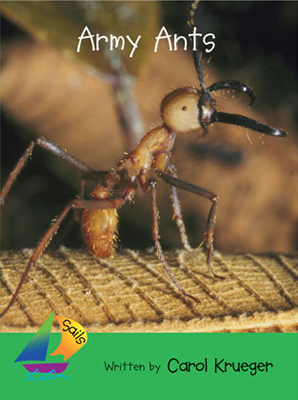 Army Ants is an expository text that invites readers to learn about where army ants live, their body parts, and their queen ant. Photographs are labeled. There are some captions beneath pictures that provide important information. Labeled illustrations support understanding. An index is provided. Interest words include army, jungle, feelers, nest, jaws, worker, soldier, and queen. There are a few compound sentences joined by conjunctions. In the Teacher’s Guide notes, an activity that asks children to explore the advantages and disadvantages of living in a big family is presented. 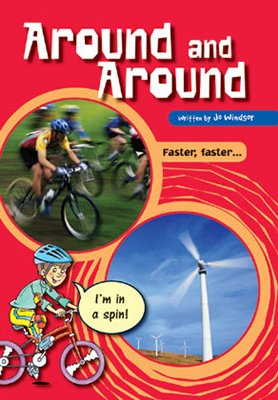 Around and Around is an expository text that invites readers to learn about things that go around and around such as propellers, blades, rollers, and wind machines. Photographs support important content and some are labeled. Illustrations add detail and interest to the text and are found on each page. Callouts prompt prediction and allow students to make inferences. In addition, an index is presented. Some sentences begin with dependent clauses. Adjectives appear throughout. To conclude, a mapping chart invites readers to match pictures to objects discussed in the text. In addition, a word bank with text and imagery is provided. 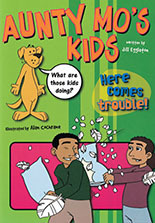 Aunty Mo’s Kids is a humorous, realistic fiction about Aunty Mo’s kids who come to stay with Mum and her children. Aunty Mo’s kids make a mess in the house and do silly things so Mum decides to make a list of rules for the children to follow. When Aunty Mo returns from her trip, her kids catch her breaking one of the rules, and Aunty Mo decides to implement rules in their home as well. Dialogue is bolded and in colour. To begin, the characters and the setting are introduced. Illustrations support interpretation and enhance enjoyment. Callouts prompt prediction and allow students to make inferences. The full list of rules is presented. Some sentences begin with dependent clauses. Simple connectives such as and connect two ideas. Adverbs appear throughout. To conclude, a list of rules that can be found in schools are shown. In addition, a word bank with text and imagery is provided. 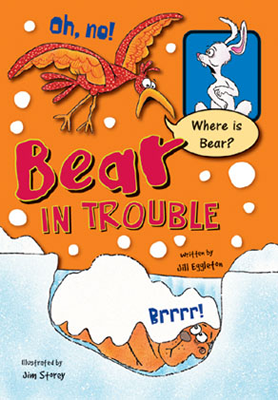 Bear in Trouble is a realistic fiction about a bear who goes out to enjoy the snow but gets lost. A bird helps him find his cave. Dialogue is bolded and in colour. To begin, the characters and the setting are introduced. Illustrations support interpretation and enhance enjoyment. Callouts prompt prediction and allow students to make inferences. Some sentences begin with dependent clauses. Simple connectives such as and connect two ideas. Adverbs appear. To conclude, a map showing bear’s trail is provided. Another map asks readers to decide what one of three paths bird must have taken to get back to the cave. In addition, a word bank with text and imagery is provided. 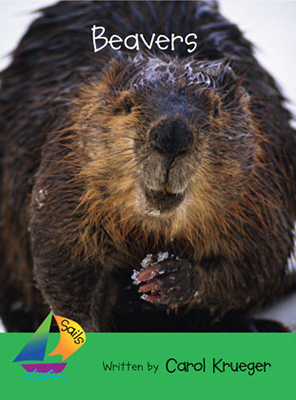 Beavers is an expository text that invites readers to learn about beavers. Readers learn about the beaver’s body, how they cut down trees, and how they make their homes. Most pages have three photographs per pages. Some photos are labeled. An illustrative diagram shows the inside of a beaver’s house. An index is included. Interest words include beaver, dam, dive, teeth, sharp, and breath. Some sentences begin with dependent clauses. Some adjectives and adverbs are used. A drawing activity that asks students to draw another animal that uses their teeth is presented in the Teacher’s Guide Notes. 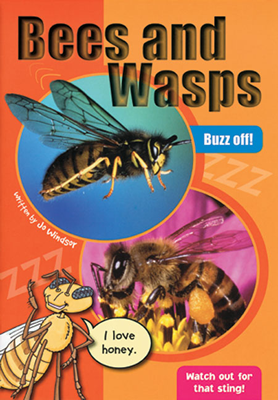 Bees and Wasps is an expository text about bees and wasps. Readers learn about how bees and wasps look, where they live, what they eat, and how they look out for their babies. Photographs support important content and are labeled. Illustrations add detail and interest to the text and are found on each page. Callouts prompt prediction and allow students to make inferences and captions add important information. An index is presented. Some sentences begin with dependent clauses. To conclude, a yes/no chart is presented that asks students questions about the content covered in the book. In addition, a word bank with text and imagery is provided. 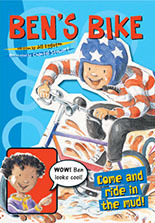 Ben’s Bike is a realistic fiction about a boy named Ben who wishes he had a bike so that he could play with his friends. When he asks his mom for a bike, she tells Ben that they do not have enough money for a bike so Ben’s grandpa makes him one. Dialogue is bolded and in colour. To begin, the characters and the setting are introduced. Illustrations support interpretation and enhance enjoyment. Callouts prompt prediction and allow students to make inferences. Two pages resemble a comic where characters exchange thoughts through speech bubbles. Some sentences begin with dependent clauses. Simple connectives such as and connect two ideas. 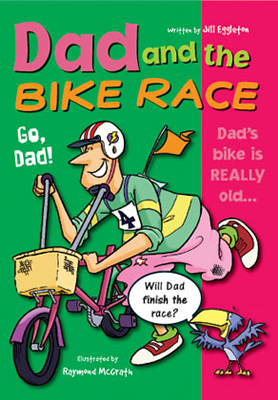 To conclude, on one page, a bike is properly labeled, while on the other, readers must choose which labels are right. In addition, a word bank with text and imagery is provided. 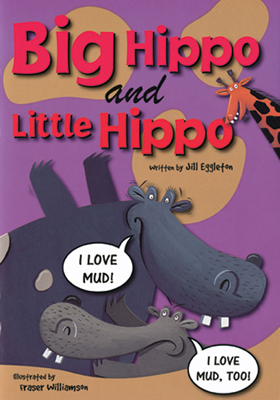 Big Hippo and Little Hippo is a realistic fiction about two hippos who fight over the mud puddle. Little Hippo is pushed out and sits in the sun which causes his back to crack. Big Hippo feels bad and the other animals use leaves to help Little Hippo back into the mud. Dialogue is bolded and in colour. Some sentences begin with dependent clauses. Simple connectives such as and connect two ideas. Adjectives appear throughout. To conclude, two story sequences are presented. One sequence properly aligns with the events of the story while the other does not. In addition, a word bank with text and imagery is provided. 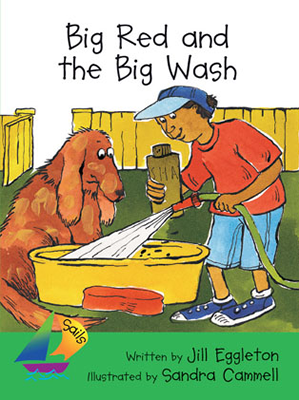 Big Red and the Big Wash is a humorous, fictional text about a dog named Big Red who hates being washed. When Big Red is being washed, he runs away and jumps onto a car that is going through a car wash. Big Red comes out very clean. Illustrations support interpretation and enhance enjoyment in this narrative text. Illustrative text is used. Some speech bubbles are used. Some sentences begin with dependent clauses. Simple connectives such as and connect two ideas. To conclude, the signs that were shown in the book are presented. In addition, simple activities that include oral, written, and visual communication are presented in the Teacher’s Guide Notes. 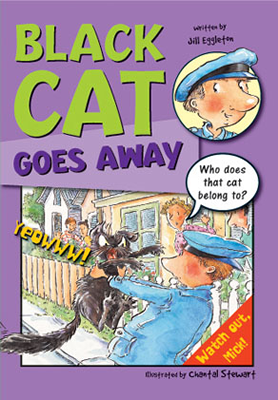 Black Cat Goes Away is a humorous, realistic fiction about a black cat who jumps into the back of a mailman’s van and hides in a customer’s package. After a customer is frightened by the cat who jumps out his package, the mailman returns the cat to its owner. Dialogue is bolded and in colour. To begin, the characters and the setting are introduced. Illustrations support interpretation and enhance enjoyment. Callouts prompt prediction and allow students to make inferences. Illustrative text is used. Some sentences begin with dependent clauses. Simple connectives such as and connect two ideas. Adverbs appear throughout. To conclude, two story sequences are presented. One sequence properly aligns with the events of the story while the other does not. In addition, a word bank with text and imagery is provided. 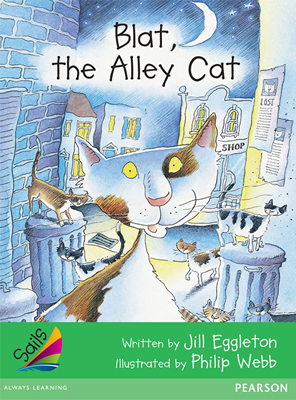 Blat, the Alley Cat is a realistic fiction about a family who takes in an alley cat named Blat. Blat likes that he has food to eat and a warm place to sleep but he misses his alley cats. He runs away and the family realizes he will always be an alley cat. Once a week, they leave food for Blat and his alley cat friends. Illustrations support interpretation and enhance enjoyment. Some illustrative text is used. Some sentences begin with dependent clauses. Simple connectives such as and connect two ideas. To conclude, a flow diagram depicts the events of the story. In addition, simple activities that include oral, written, and visual communication are presented in the Teacher’s Guide Notes. 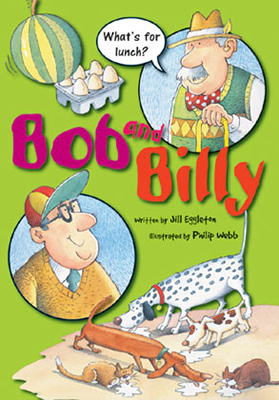 Bob and Billy is a humorous, realistic fiction about two older gentlemen who go to the market to get some lunch. After not packaging their food properly, food gets crushed, melts, and seeps through their bag on their walk home. The dogs and cats had a better lunch than Bob and Billy. Dialogue is bolded and in colour. Some sentences begin with dependent clauses and contractions are used. Simple connectives such as and connect two ideas. Adverbs and adjectives appear throughout. To conclude, a map with a legend show Bob and Billy’s houses in relation to the market. In addition, a word bank with text and imagery is provided. 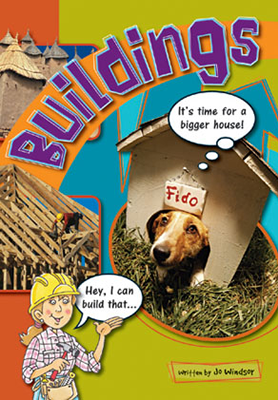 Buildings is an expository text that explores buildings that are for animals, people, and plants. Readers also learn about the materials that these buildings can be constructed with, such as brick, glass, mud, and wood. Photographs support important content and some are labeled. Illustrations add detail and interest to the text and are found on each page. Callouts prompt prediction and allow students to make inferences. An index is presented. To conclude, a labels section is presented that asks children to pick the correct label that matches the material used to make the building in the image. In addition, a word bank with text and imagery is provided. 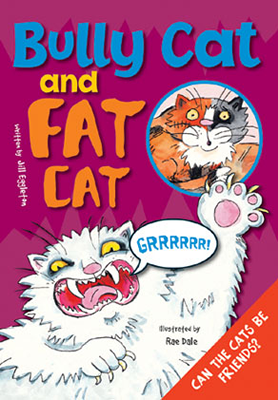 Bully Cat and Fat Cat is a humorous, realistic fiction about Bully Cat who is aggressive to Fat Cat when he wants to eat some of Fat Cat’s sausages. The next day, Bully Cat decides to be nice to Fat cat so Fat Cat shares its ice cream with Bully Cat. Dialogue is bolded and in colour. Some sentences begin with independent clauses. Simple connectives such as and connect two ideas. To conclude, two story sequences are presented. One sequence properly aligns with the events of the story while the other does not. In addition, a word bank with text and imagery is provided. Cam in the Cave is a realistic fiction about a group of friends and their dog who go outside to play. Cam, who is blind, throws the ball into a cave. 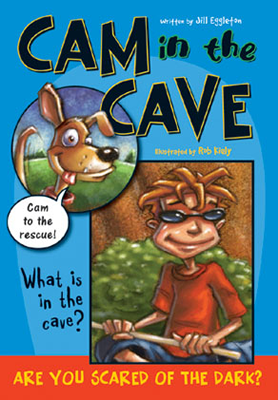 The dog gets stuck in the cave and after the other two friends cannot find the dog, Cam goes inside and saves him. Dialogue is bolded and in colour. To begin, the characters and the setting are introduced. Illustrations support interpretation and enhance enjoyment. Callouts prompt prediction and allow students to make inferences. A two-page spread uses speech bubbles to convey the characters’ thoughts in a comic-like layout. Some sentences begin with dependent clauses. Simple connectives such as and connect two ideas. To conclude, two story sequences are presented. One sequence properly aligns with the events of the story while the other does not. In addition, a word bank with text and imagery is provided. 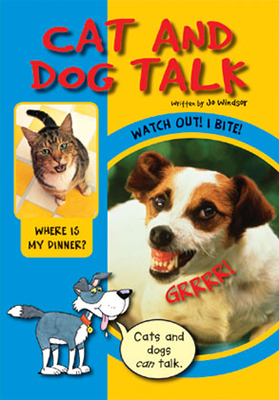 Cat and Dog Talk is an expository text that invites readers to learn about how cats and dog talk with their eyes, ears, and tails. Dialogue appears as an element of fantasy. The idea that animals have feelings and emotions that are important for humans to understand is presented. Photographs support important content and are labeled. Illustrations add detail and interest to the text and are found on each page. Callouts prompt prediction and allow students to make inferences. An index is presented. Many adjectives and adverbs are used. Various forms of possessives appear in the text. To conclude, a yes/no chart is presented that asks students questions about the content covered in the book. In addition, a word bank with text and imagery is provided. 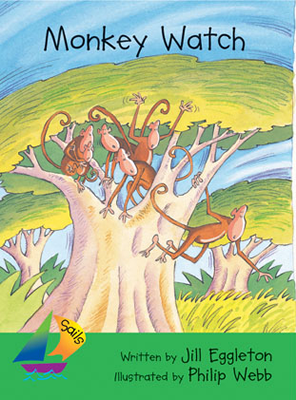 Chameleons is an expository text that invites readers to learn about a chameleon’s body, their food, their homes, and their young. Photographs are labeled. There are some captions beneath pictures that provide important information. A set of three images shows a chameleon catching an insect with its tongue. An index is provided. Interest words include chameleon, horns, stripes, and desert. Some adjectives are used in sentences. Some compound sentences are joined by conjunctions. 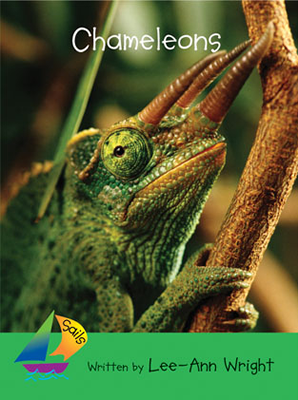 In the Teacher’s Guide notes, an activity that asks children to compare one characteristic of a chameleon to another animal is presented. 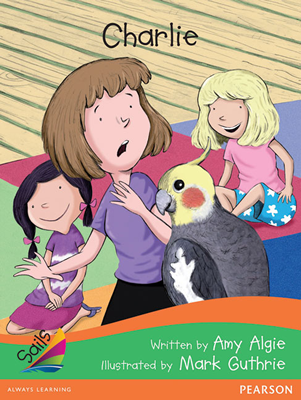 Charlie is a humorous, realistic story about a class pet bird. The teacher does not like birds, but she likes Charlie even less when he starts saying “Give me a kiss.” The story is told in dialogue and simple narrative. All the sentences are short and predictable. Humorous illustrations match the text directly and add meaning. A sign advertises that a bird has been found. Characters’ names are capitalized. Quotation marks are used in dialogue. Exclamation marks are used for emphasis. Interest words include beady, guinea pig, whistling, and principal. The compound words classroom, anything, and someone are used. This title is from the Sails Literacy series. Hook readers and ignite their curiosity - over 700 levelled texts with bright, colourful, sophisticated designs. 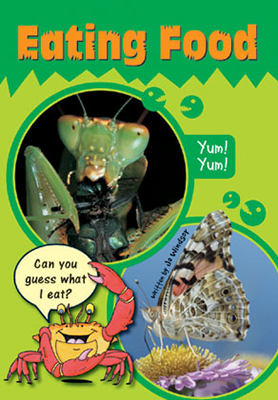 Claws is an expository text that invites readers to learn about how different animals, such as bears, cats, crabs, head louse, shrimp, and skunks, use their claws. Most photographs are labeled. An index is provided. Interest words include claws, paws, berries, coconut, shrimp, and eagle. Adjectives are used in sentences. In the Teacher’s Guide notes, a drawing activity asks students to think about why animals need claws. Clothes that Help is an expository text that invites readers to learn about the different clothes that people wear to help them and keep them safe. Photographs illustrate important content. Clothes that help keep firefighters, skateboarders, and race car drivers safe are labeled. An index is provided. 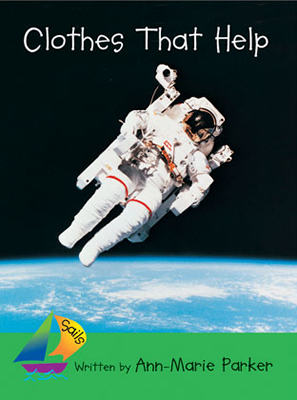 Interest words include helmet, astronauts, space, divers, gloves, wetsuit, and metal. Adjectives are used in sentences. A drawing activity that asks students to think about the protective clothing that people wear is presented in the Teacher’s Guide Notes. 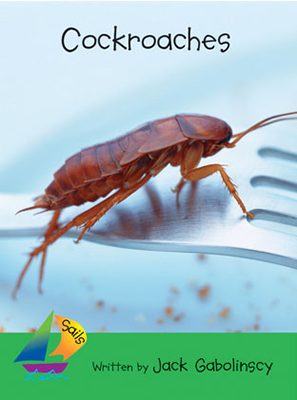 Cockroaches is an expository text that invites readers to learn about a cockroach’s body, where they live, the animals that eat them, and how long they have been on our Earth for. Some photographs are labeled and a couple captions support the text. An index is provided. Interest words include cockroaches, pipes, skeleton, and lizards. 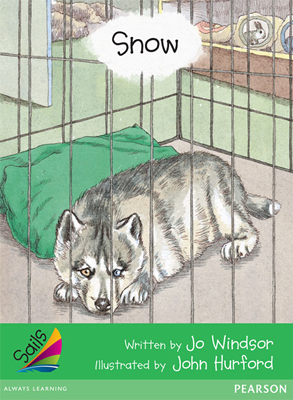 A drawing activity that asks students to think about animals squeezing into small places is presented in the Teacher’s Guide Notes. 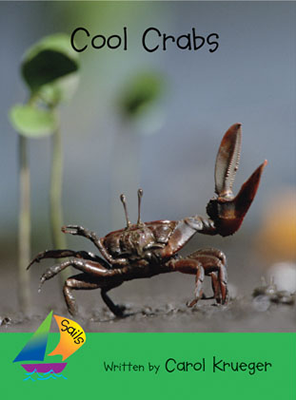 Cool Crabs is an expository text about crabs which focusses on where crabs live, what they look like, where they hide, what the eat, and how big and small they can be. Some dialogue is used. Some photographs are labeled and some captions support the text. A scale diagram is used to illustrate the size of a crab. An index is provided. Interest words include crab, shells, stalks, seaweed, and claw. Adjectives and some simple connectives such as and are used in sentences. A drawing activity that asks students to think about interesting things that crabs and other animals can do is presented in the Teacher’s Guide Notes. 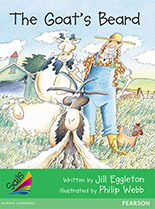 Cools Tools is an expository text that invites readers to learn about the different tools animals use to help them get their food. To begin, images of people using tools are compared to images of animals using tool. Photographs label the tool the animal is using as well as the food retrieved. A set of three photographs illustrates how a fish can spit water at an insect to make it fall into the water. An index is provided. Interest words include tools, wasp, tunnel, eggshells, and insect. Adjectives are used in sentences. A drawing activity that asks students to think about the tools they use is presented in the Teacher’s Guide Notes. 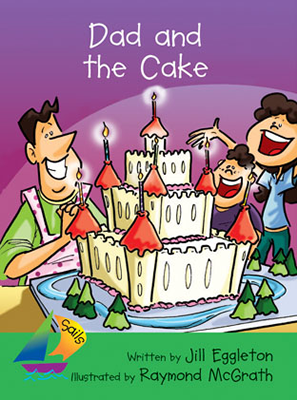 Dad and the Cake is a humorous, fictional story about kids who help their dad make a big cake for his birthday. When the cake is completed, it is placed in the pantry and ants are attracted to the sugar and crawl all over the cake. Dad tries to blow the ants of the cake with different machines but cake ends up blowing all over the backyard. His friends come to the house, and, instead of bringing a gift, give him a large cake. Illustrations support interpretation and enhance enjoyment in this narrative text. Some illustrative text is used. Some sentences begin with dependent clauses. Simple connectives such as and connect two ideas. To conclude, a comic strip is shown that retells the main events of the story. In addition, simple activities that include oral, written, and visual communication are presented in the Teacher’s Guide Notes. 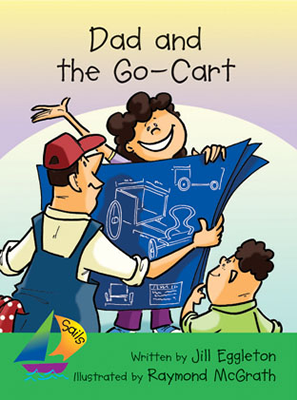 Dad and the Go-Cart is a humorous, realistic fiction about a dad who helps their kids make a go cart for a race. Because their go cart is too big, dad pushes the go-cart down the hill and the children cross the finish line with a go-cart that has lost many pieces along the way. Illustrations support interpretation and enhance enjoyment in this narrative text. Speech bubbles are used and provide extra information. Simple connectives such as and connect two ideas. To conclude, instructions on how to make a box car are presented. In addition, simple activities that include oral, written, and visual communication are presented in the Teacher’s Guide Notes. 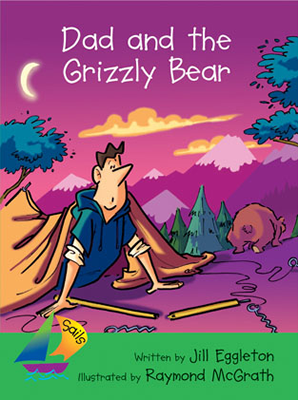 Dad and the Grizzly bear is a realistic fiction about a family who goes camping and, while they are sleeping, a bear comes to their tent and knocks it down. The bear leaves because it cannot find food so dad and his kids make a bed in a tree to stay away from the bear. Illustrations support interpretation and enhance enjoyment in this narrative text. Illustrative text is used. Some sentences begin with dependent clauses. Simple connectives such as and connect two ideas. To conclude, a story sequence is shown. In addition, simple activities that include oral, written, and visual communication are presented in the Teacher’s Guide Notes. 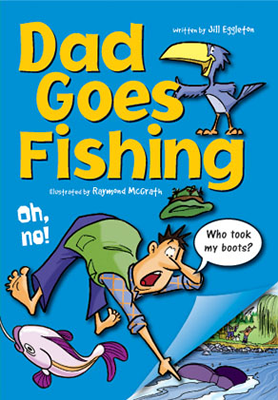 Dad Goes Fishing is a humorous, realistic fiction about a dad and his kids who go fishing. A bear steals dad’s boots at nighttime and, after looking everywhere for the boots, the kids spot them floating down the river. Dad uses a stick to retrieve the boots. Dialogue is bolded and in colour. To begin, the characters and the setting are introduced. Illustrations support interpretation and enhance enjoyment. Callouts prompt prediction and allow readers to make inferences. 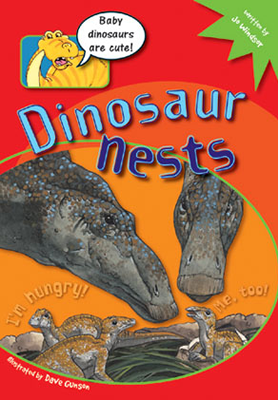 Dinosaur Nests is an expository text that invites readers to learn about dinosaur nests, eggs, and babies. 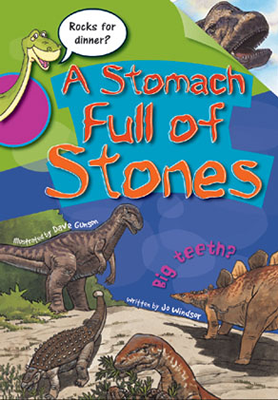 Readers understand what a dinosaur nest looks like, how babies grow inside the egg, and what life is like once they hatch. Illustrations support important content. Illustrations add detail and interest to the text and are found on each page. Callouts prompt prediction and allow students to make inferences. An illustrative flow chart shows a baby dinosaur in its stages of development inside the egg. An index is presented. Some sentences begin with dependent clauses. Simple adjectives are adverbs are used. To conclude, a flow diagram is presented that allows readers to recall the proper order of events. In addition, a word bank with text and imagery is provided. 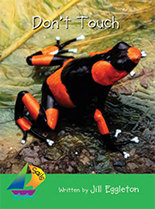 Don’t Touch is an expository text about things that people do not touch because they are poisonous, such as particular bottles of chemicals, caterpillars, frogs, and snakes. Some photographs are labelled with the words poison while others label animals and their poisonous parts. To conclude, an index is provided along with images of the poisonous animals and bottles that were discussed. Interest words include cupboard, dangerous, touch, shed, and poison. Adjectives are used in sentences. A drawing activity that asks students to think about other poisonous items or creatures is presented in the Teacher’s Guide Notes. 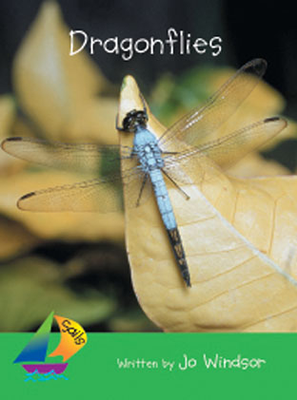 Dragonflies is an expository text that invites readers to learn about what a dragonfly looks like, what it eats, and how it lays eggs. Illustrations enhance and extend meaning. Images are labeled and some captions add important information. An index is included. Interest words include wings, hunt, swoops, basket, and skin. Adverbs are used in sentences. An activity that asks students to compare a small animal with a dragonfly is presented in the Teacher’s Guide Notes. 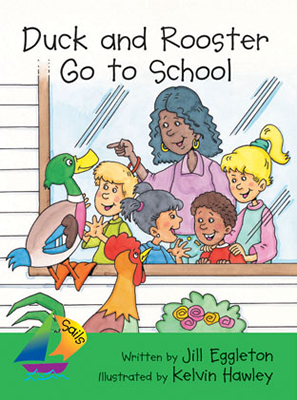 Duck and Rooster Go to School is an animal fantasy about Duck and Rooster who decide to go to school. When the teacher allows them into the classroom, students look at them which makes Duck and Rooster feel scared. They run back and vow to never go to school again. Simple connectives such as and connect two ideas. Some adjectives and adverbs appear throughout. To conclude, a comic strip is presented that recalls the events of the story. In addition, simple activities that include oral, written, and visual communication are presented in the Teacher’s Guide Notes. Eating Food is an expository text that shows readers how animals get their food. Tongues, claws, jaws, and animal straws help animals and insects get their food. To conclude, a mapping chart is presented that asks students to match the insect/animal to its body part and then to the food it eats. In addition, a word bank with text and imagery is provided. 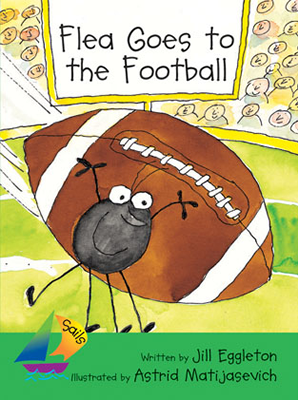 Flea Goes to the Football is an animal fantasy about a flea who bites all the big football players on the team called the Jumbos. While the flea is jumping on their legs and biting them, the Squits, the team composed of smaller players, wins the game. Some sentences begin with dependent clauses. Simple connectives such as and connect two ideas. To conclude, an action/consequence chart is shown. In addition, simple activities that include oral, written, and visual communication are presented in the Teacher’s Guide Notes. 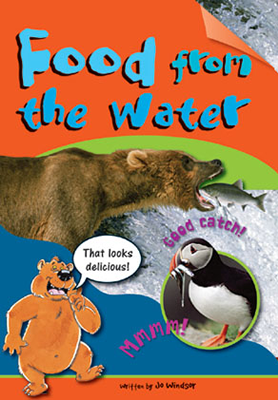 Food from the Water is an expository text that shows readers how animals and people can get food from the water. Readers see birds catching fish, bears catching fish, and humans catching fish. Photographs support important content and some are labeled. Illustrations add detail and interest to the text and are found on each page. Callouts prompt prediction and allow students to make inferences. Bullet points are used on one page. An index is presented. To conclude, a yes/no chart is presented that asks students questions about the content covered in the book. In addition, a word bank with text and imagery is provided. 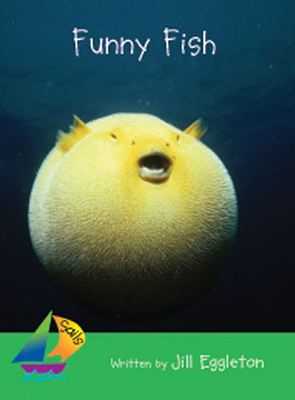 Funny Fish is an expository text about fish that are different than other fish. Some unassigned dialogue is used. Illustrations enhance and extend meaning. Images are labeled. An index is included. Interest words include fins, cocoon, bait, poisonous, and puff. An activity that asks students to draw and label a fish from the book is presented in the Teacher’s Guide Notes. Fur, Feathers, or Skin is an expository text about certain animals who have feathers, fur, wool, and those who do not. Illustrations enhance and extend meaning. A classification chart groups the images of animals who have fur, feathers, and no fur or feathers. An index is included. Interest words include fur, wool, feathers, skin, and mountains. Some sentences begin with a dependent clause. An activity that asks students to draw pictures of animals who have fur and do not have fur is presented in the Teacher’s Guide Notes. 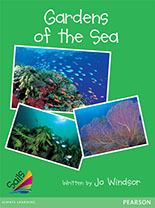 Gardens of the Sea is an expository text about the plants that create a garden in the ocean, such as coral dugong, and kelp, as well as the animals that live among this sea garden. Illustrations enhance and extend meaning. To conclude, an illustration that shows all of the plants and animals in their habitat is presented. An index is included. Interest words include coral, fans, divers, dugongs, kelp, forest, and sushi. Commas are used to separate a list of items in a sentence. Some sentences begin with an independent clause. An activity that asks students to list the types of food in the sea is presented in the Teacher’s Guide Notes. 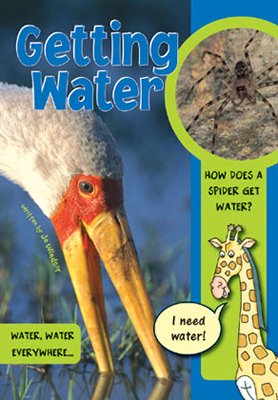 Getting Water is an expository text about how animals such as elephants, butterflies, giraffes, and spiders, get water. Photographs support important content and some photos are labeled. Illustrations add detail and interest to the text and are found on each page. Callouts prompt prediction and allow readers to make inferences. An index is presented. To conclude, a yes/no chart is presented that asks readers questions about the content covered in the book. In addition, a word bank with text and imagery is provided. 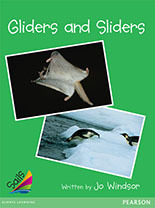 Gliders and Sliders is an expository text about how animals can move by gliding and sliding. Photographs enhance and extend meaning. To conclude, an illustration that shows all of the plants and animals in their habitats is presented. An index is included. Interest words include glide, stretch, slide, and toboggan. An activity that asks students to create a chart separating animals that can slide and animals that can glide is presented in the Teacher’s Guide Notes. Got One! 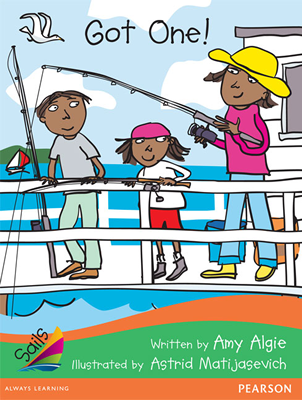 is a realistic story about a mom who loves to fish. For her birthday, her kids have the brilliant idea to give her a license plate that reads: GOT1. The story is told in dialogue and simple narrative. All the sentences are short and predictable. Humorous illustrations match the text directly and add meaning. 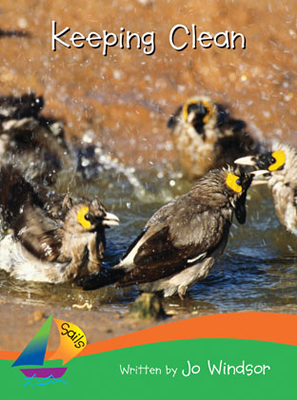 A calendar and symbols are used to show a month’s worth of fishing conditions. Characters’ names are capitalized. Quotation marks are used in dialogue. Exclamation marks and boldface are used for emphasis. Interest words include magazines, newspaper, tides, wharf, and bait. The compound word newspaper is used. Invoice Title: SAILS EMG GREEN F GOT ONE! 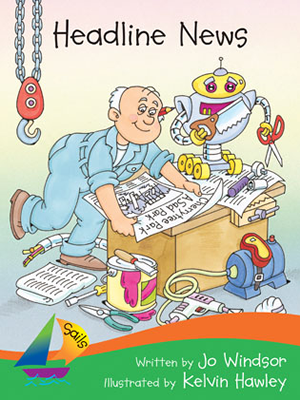 Headline News is a nonfiction text about a man named John who invents machines that fix things. The town calls on John to fix untidy parks and playgrounds and puts his success in the headline news. Children in the community are excited to go to a picnic but are upset to learn that there are no birds, animals, or flowers in the park. On the day of the picnic, the town is amazed to see John creates a machine that spits out flowers, animals, and birds. Illustrations support interpretation and enhance enjoyment in this narrative text. Illustrative text is used. The headline from the newspaper is shown on each page. Some sentences begin with dependent clauses. Simple connectives such as and connect two ideas. To conclude, a catalogue of John’s creations is shown with images, titles, and prices. In addition, simple activities that include oral, written, and visual communication are presented in the Teacher’s Guide Notes. Hidden Insects is an expository text about insects that camouflage themselves in their surrounding environment. 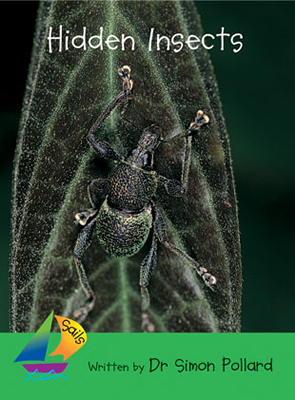 Beetles, caterpillars, moths, praying manta, and stick insects, are the focus of this book. Images enhance the text. Some images are labeled. In addition, some images are zoomed in to show extra detail. An index is included. Interest words include caterpillar, beetle, moth, praying mantis, moss, and branches. To conclude, a chart organizes images of animals that look like leaves, sticks, and mosses. A drawing activity that asks students to think about other animals who camouflage themselves is presented in the Teacher’s Guide Notes. Hidden Spiders is an expository text about spiders that hide themselves. 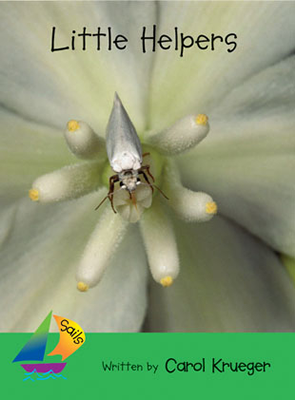 This book explores the places where spiders hide, such as in flowers, on leaves, and on trees. Most images are labeled and enhance the text. There are some captions that provide important information. An index is included. Interest words include insects, praying mantis, green jumping spider, and egg sac. Some sentences are questions. Simple connectives such as but are used. 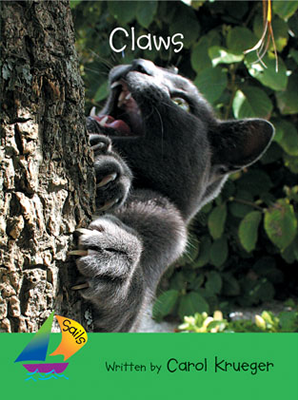 An activity that asks students to think about other things animals might use to hide themselves is presented in the Teacher’s Guide Notes. 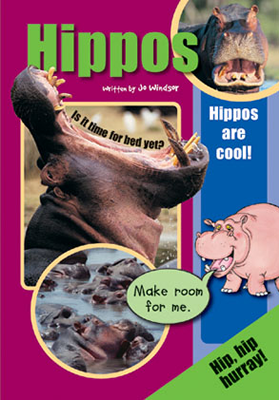 Hippos is an expository text that invites readers to learn about what hippos look like, what they eat, how they run, and how they look after their young. Photographs support important content and are labeled. Illustrations add detail and interest to the text and are found on each page. Callouts prompt prediction and allow readers to make inferences. Illustrative text is used. An index is presented. Adjectives appear throughout the book. Various possessives appear in sentences. To conclude, a labeling activity is provided where readers decide what labels on the horse will match up with the hippo. In addition, a word bank with text and imagery is provided. 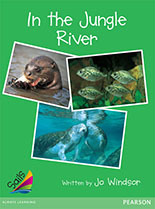 In the Jungle River is an expository text that explores the kinds of animals that can be found in the jungle river such as capybaras, giant otters, manatees, and turtles. Images enhance and extend the text. To conclude, a two-page illustration shows all the animals living in unison. An index is included. Interest words include leeches, piranhas, capybaras, and manatees. Some sentences are questions. An activity that asks students to create a mapping chart is presented in the Teacher’s Guide Notes. 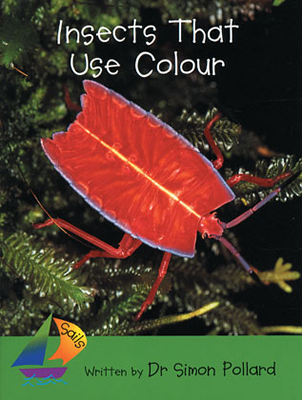 Insects that Use Colour is an expository text that explores how butterflies, caterpillars, and moths use colours to protect themselves and ward off predators. Many images are labelled and some are paired with captions that provide extra information. Some illustrations support interpretation and increase understanding. An index is included. Interest words include butterfly, insects, moths, caterpillars, and eyespots. Some adjectives are used. 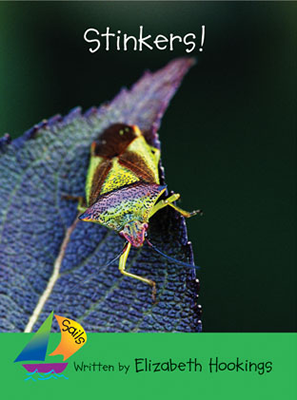 An activity that asks students to think about other insects that use colour is presented in the Teacher’s Guide Notes. 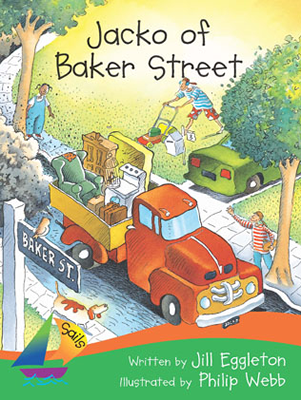 Jacko of Baker Street is a realistic, nonfiction text about Jacko, a man who does things that are out of the ordinary to the people of Baker Street. Kids and parents like Jacko and his odd creations, but one neighbour, who likes everything prim and proper, creates a petition to kick Jacko out of the neighbourhood. The other neighbours do not sign this petition because they like Jacko. Illustrations support interpretation and enhance enjoyment in this narrative text. Illustrative text is used. An illustration of the petition is shown. Some sentences begin with dependent clauses. Compound sentences are joined by and. Adjectives appear throughout and ellipses are used. To conclude, the petition that the neighbours create is shown. In addition, simple activities that include oral, written, and visual communication are presented in the Teacher’s Guide Notes. 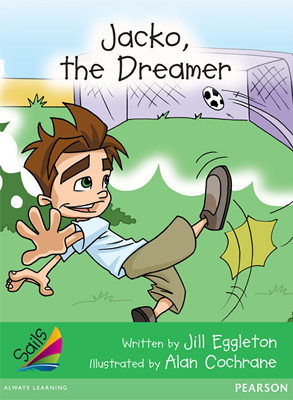 Jacko, the Dreamer is a realistic fiction about a boy name Jacko who causes trouble because he is always dreaming about being a soccer player or a skateboarder. His grandpa gets him a watch that beeps which reminds Jacko that he must stop and think. As Jacko begins to imagine a scenario, the watch beeps and he heads outside with his grandpa. His grandpa accidentally hits Jacko’s mom with a ball and Jacko jokes that his grandpa may need the watch. Illustrations support interpretation and enhance enjoyment in this narrative text. Illustrative text is used throughout. Some sentences begin with dependent clauses. Simple connectives such as and connect two ideas. Ellipses appear throughout. To conclude, an action/consequence chart is provided. In addition, simple activities that include oral, written, and visual communication are presented in the Teacher’s Guide Notes. 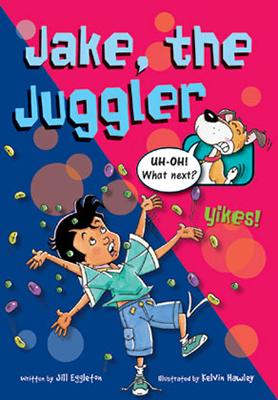 Jake the Juggler is a humorous, realistic fiction about a boy named Jake who tries to juggle fruits in his kitchen and makes a big mess. Jake’s mom makes him homemade juggling balls that he can use to practice. Dialogue is bolded and in colour. Some sentences begin with dependent clauses. Simple connectives such as and connect two ideas. Adverbs appear throughout. To conclude, a list of things to juggle with is presented with yes/no options beside each item. In addition, a word bank with text and imagery is provided. 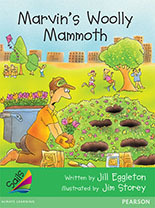 Keeping Clean is an expository text that explores how some animals keep clean by using dust, water, and ants. Photographs support interpretation. Most images are labeled. An index is included. Interest words include dust, roll, bugs, feathers, and flap. Adverbs are used in sentences. An activity that asks students to think about they keep themselves clean in comparison to how another animal keeps itself clean is presented in the Teacher’s Guide Notes. 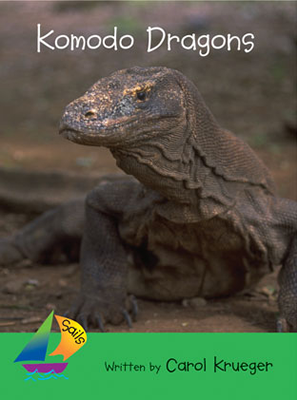 Komodo Dragons is an expository text that explores where Komodo dragons live, how they get food, what their bodies look like, and how they have their babies. Labeled photographs enhance and extend meaning. A world map with a legend shows where Komodo dragons live. An index is included. Interest words include scales, germs, tongue, spit, and stomach. Some sentences begin with dependent clauses. An activity that asks students to think about other animals that lived a long time ago is presented in the Teacher’s Guide Notes. 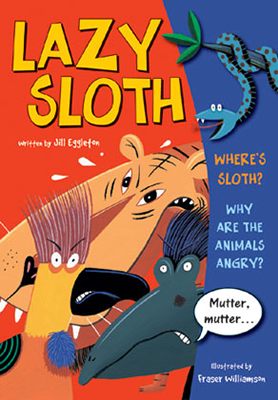 Lazy Sloth is a humorous, realistic fiction about a group of jungle animals who think that Sloth is very sick. After failed attempts at waking him up, animals make him a bed and plan to move him to it. They realize that Sloth is not sick, but is naturally lazy and sleepy all the time. Dialogue is bolded and in colour. To begin, a brief explanation about what a sloth is like is presented. Illustrations support interpretation and enhance enjoyment. Callouts prompt prediction and allow students to make inferences. 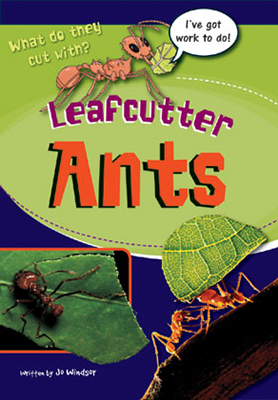 Leafcutter Ants is an expository text that shows readers how leafcutter ants live. 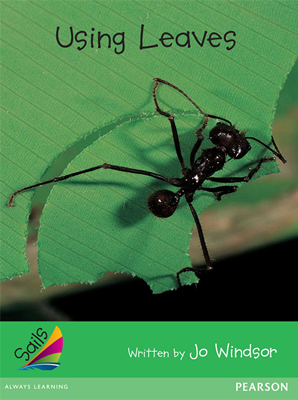 Where ants live, their social hierarchy, as well as how they lay eggs and take care of their young, is discussed. Photographs support important content and photos are labeled. Illustrations add detail and interest to the text and are found on each page. Callouts prompt prediction and allow students to make inferences. A bulleted list appears. An illustrative diagram shows readers what the inside of an ant nest looks like. An index is presented. Simple adjectives appear in the text. To conclude, a yes/no chart is presented that asks students questions about the content covered in the book. In addition, a word bank with text and imagery is provided. 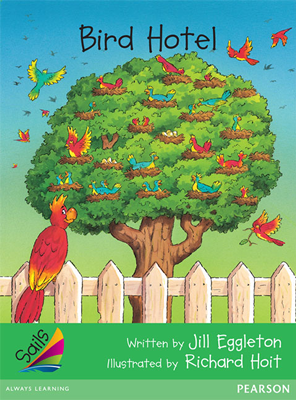 Little Helpers is an expository text about little animals that help us in many ways. Little helpers include bees, silkworms, spiders, and worms. Many photographs are labeled. A diagram shows a bee taking pollen from one flower to another. An index is included. Interest words include tunnels, silkworms, mosquito, pollen, and nectar. The compound word beehive appears in the text. A drawing activity that asks students to think about an animal who helps is presented in the Teacher’s Guide Notes. 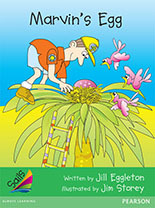 Marvin’s Egg is a humorous, fictional story about a park ranger named Marvin who puts an egg back into a nearby bird nest. He soon discovers the egg is not a bird’s egg but an alligator’s egg. When the alligator hatches and Marvin cannot feed it, he takes the alligator to an alligator farm. Some sentences begin with dependent clauses and contain adjectives and adverbs. Simple connectives such as and connect two ideas. To conclude, signs found in the park are shown. In addition, simple activities that include oral, written, and visual communication are presented in the Teacher’s Guide Notes. 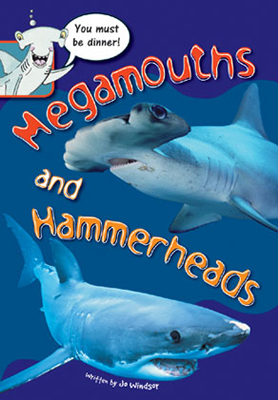 Megamouths and Hammerheads is an expository text that invites readers to learn about sharks. How sharks look, how they get their food, how they birth their young, and how they are cared for, is discussed in the text. Many adjectives are used to describe sharks. Some simple connectives are used. To conclude, a yes/no chart is presented that asks students questions about the content covered in the book. In addition, a word bank with text and imagery is provided. 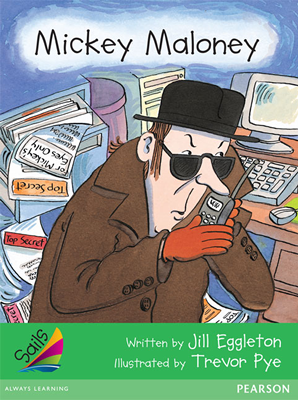 Mickey Maloney is a humorous, fictional text about a spy who goes out at night to complete his three spy tasks. After completing each task, Mickey Maloney returns home and his neighbor calls the police because she thinks someone is breaking into his house. Illustrations support interpretation and enhance enjoyment in this narrative text. A list presents the jobs that Mickey Maloney Must complete. Once all tasks are completed, a completed list is also pictured with all tasks crossed off. Simple connectives such as and connect two ideas. Some adjectives appear throughout. To conclude, a list of Mickey Maloney’s clothes and gear is presented with visual and written text. In addition, simple activities that include oral, written, and visual communication are presented in the Teacher’s Guide Notes. 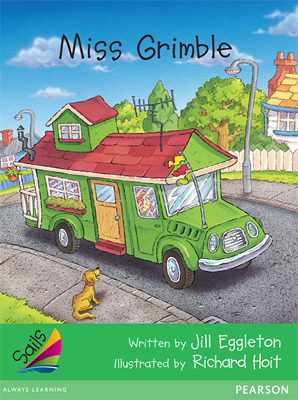 Miss Grimble is realistic fiction about a lady who babysits Henri and Molly. The children worry that Miss Grimble will be a grump, but she suggests that they make a space world outside and they all have a lot of fun together. Illustrations support interpretation and enhance enjoyment in this narrative text. Some sentences begin with dependent clauses. Simple connectives such as and connect two ideas. To conclude, a plan of their space world is shown. In addition, simple activities that include oral, written, and visual communication are presented in the Teacher’s Guide Notes. 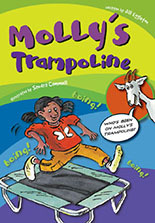 Molly’s Trampoline is a humorous, realistic fiction about animals who use Molly’s trampoline to bounce onto the roof of Molly’s house. When Molly and her Mom discover how the animals got up there, they decide to take the trampoline inside. Dialogue is bolded and in colour. To begin, the characters and the setting are introduced. Illustrations support interpretation and enhance enjoyment. Illustrations add detail and interest to the text and are found on each page. Callouts prompt prediction and allow readers to make inferences. Various signs are shown in the illustrations. Some sentences begin with dependent clauses. To conclude, a story sequence is presented. In addition, a word bank with text and imagery is provided. Monkey Watch is a humorous, fictional text about workers coming into the jungle with bulldozers. When the workers stop for lunch, the monkeys steal their food and jump onto the machinery. The workers go to sleep and wait for the monkeys to get off of the bulldozer, but, when they wake up, the monkeys are gone and the keys are up in the tree. Illustrations support interpretation and enhance enjoyment. Illustrative text is used. Speech bubbles appear. Some sentences begin with dependent clauses. Adjectives and simple connectives such as and are used. To conclude, a story sequence is shown. In addition, simple activities that include oral, written, and visual communication are presented in the Teacher’s Guide Notes. 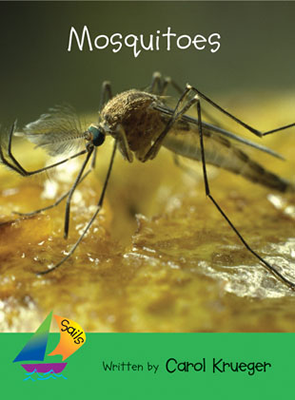 Mosquitoes is an expository text that invites readers to learn about what mosquitoes look like, how mosquitoes bite, how they get blood, and how to stay safe from mosquitoes. Photographs are labeled. A flow diagram shows how mosquitoes hatch from larvae. An index is included. Interest words include mosquito, hatch, tubes, needle, itch, and larvae. Some adjectives are used. A drawing activity that asks students to think about other small insects that bite is presented in the Teacher’s Guide Notes. 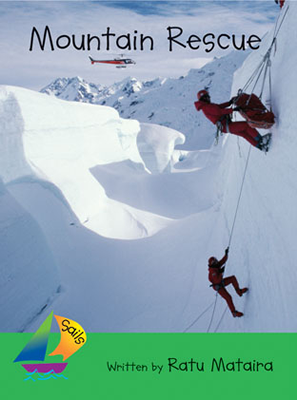 Mountain Rescue is an expository text that explores how people are rescued from the mountains. The gear that rescue workers use, as well as their rescue dogs, are discussed. Some photographs are labeled. A visual list is presented that shows readers what tools rescue helicopters have. An index is included. Interest words include helicopter, mountains, rescue, stretches, helmets, skis, and sleds. Some sentences begin with independent clauses. A drawing activity that asks students to think about other rescue workers and their tools is presented in the Teacher’s Guide Notes. 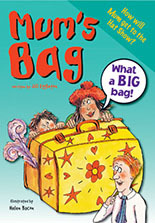 Mum’s Bag is a humorous, realistic fiction about a boy who is travelling to at Hat Show with his Mum and her giant luggage full of hats. They encounter issues with the size of the luggage at home, at the airport, and as they are leaving the airport. Dialogue is bolded and in colour. No Dinner for Black Cat! 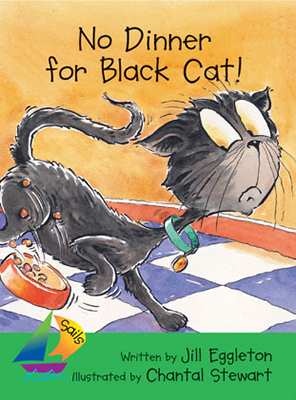 No Dinner for Black Cat is a fictional text about Black Cat who doesn’t want to eat his cat food and leaves his house in search of better food. A neighbour invites him in to eat with her cats but he does not eat any because the other cats quickly eat all of it. His owner picks him up and she is told that Black Cat has already eaten dinner with the other cats. Black Cat goes to bed very hungry. Illustrations support interpretation and enhance enjoyment. Illustrative text is used. Some sentences begin with dependent clauses. Adjectives and simple connectives such as and are used. To conclude, an image of Black cat’s preferred menu is shown. In addition, simple activities that include oral, written, and visual communication are presented in the Teacher’s Guide Notes. 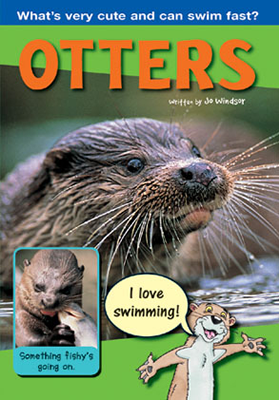 Otters is an expository text that invites readers to learn about otters. The difference between river otters and sea otters, as well as what these animals look like and eat, is discussed in the text. Adjectives are used. A simile appears when comparing the otter’s feet to flippers. To conclude, a yes/no chart is presented that asks students questions about the content covered in the book. In addition, a word bank with text and imagery is provided. Owl and Mouse in the House is a humorous, fictional story about a boy named Tom who sees a mouse and an owl come into his house through the chimney. 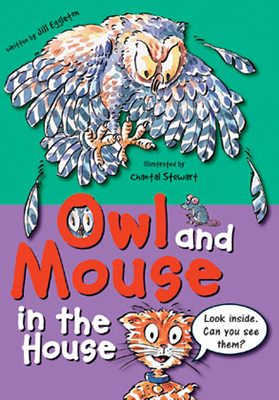 Tom’s family doesn’t believe him when he tells them what he saw these animals; however, after he gets the owl out, his family becomes scared when they see the mouse in their house. Dialogue is bolded and in colour. To begin, the characters and the setting are introduced. Illustrations add detail and interest to the text and are found on each page. Callouts prompt prediction and allow students to make inferences. 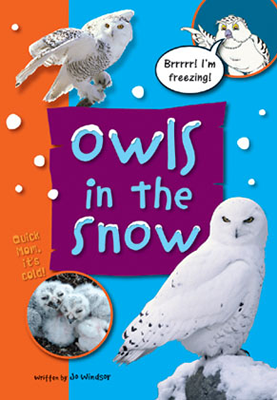 Owls in the Snow is an expository text that shows readers how owls live in the snow. 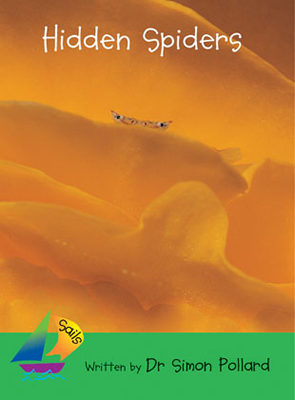 What they look like, where they live, how they catch their food, and how they hatch, is discussed in the book. Simple connectives, adjectives, and adverbs are used. Some sentences begin with independent clauses. To conclude, a labels page invites students to decide which labels apply to the image of the owl. In addition, a word bank with text and imagery is provided. 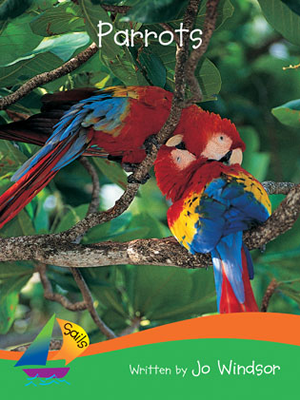 Parrots is an expository text that invites readers to learn about parrots' appearance, their babies, and their homes. Some photographs are labeled. Zoomed in images add more detail. An index is included. Interest words include rain forest, ground, beaks, feathers, steal, and trap. Simple connectives such as and are used. A drawing activity that asks students to compare the similarities and differences between a parrot and another bird is presented in the Teacher’s Guide Notes. 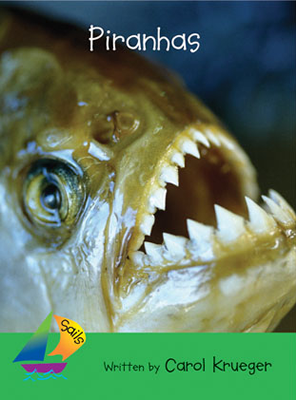 Piranhas is an expository text that explores a piranha’s teeth, their jaw, what they eat, and where they live. An illustrated map with a legend shows readers where piranhas live. Captions are found on some pages and provide important information. An index is included. Interest words include piranhas, jungle, haws, dangerous, and scissors. Adjectives are used in sentences. A drawing activity that asks students to think about other dangerous sea creatures is presented in the Teacher’s Guide Notes. 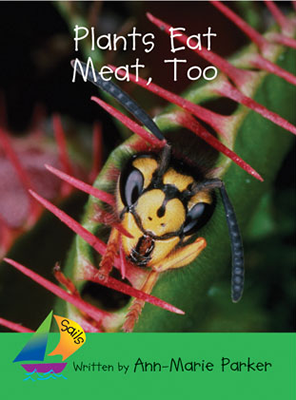 Plants Eat Meat, Too is an expository text about plants that can eat meat, such as sticky traps, Venus fly-traps, and water traps. Images enhance and extend meaning of the text. Most images are labeled. An index is included. Interest words include insects, plants, sticky, and Venus-fly trap. Adjectives such as sticky are used in sentences. Some sentences begin with independent clauses. A drawing activity that asks students to think about the different ways plants catch food is presented in the Teacher’s Guide Notes. 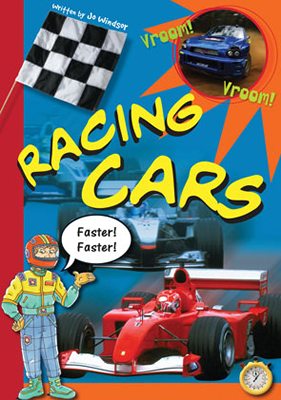 Racing Cars is an expository text about cars that go very fast and the safety precautions drivers must take. Adjectives appear. To conclude, a yes/no chart is presented that asks readers questions about the content covered in the book. In addition, a word bank with text and imagery is provided. 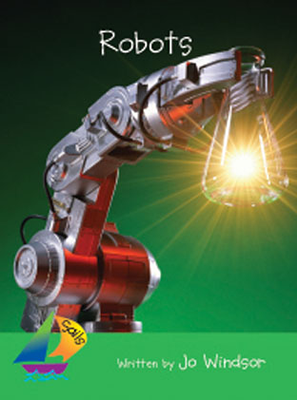 Robots is an expository text about robots that help people do things, such as make cars, work in fires, and work underwater. Photographs enhance and extend meaning of the text. Robot arms, hands, and legs are labeled. An index is included. Interest words include robots, paint, and dangerous. An activity that asks students to create their own robot is presented in the Teacher’s Guide Notes. 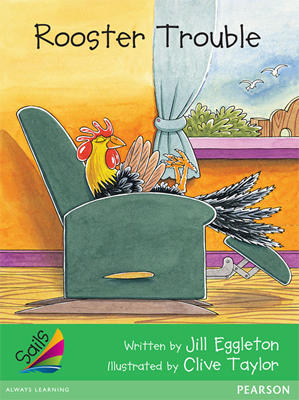 Rooster Trouble is an animal fantasy about a nosey rooster who hops into its owner’s car and causes trouble on the road as she is driving. A police officer pulls her over and they cannot find the rooster. When the owner comes home and falls asleep, the rooster exits out of a bag and returns to its home outside. Illustrations support interpretation and enhance enjoyment in this narrative text. Illustrative text is used. Some thought bubbles are used. Some sentences begin with dependent clauses. Simple connectives such as and connect two ideas. Ellipses appear throughout. To conclude, a route map of the trip is provided. In addition, simple activities that include oral, written, and visual communication are presented in the Teacher’s Guide Notes. 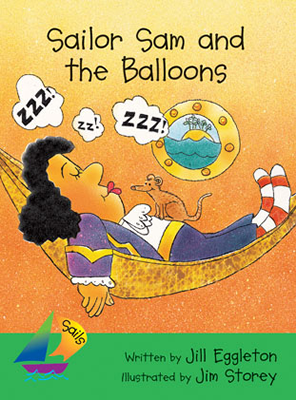 Sailor Sam and the Balloons is a humorous, fictional text about sailors who are told they have the day off as long as they can keep their ship moving. As the sailors are racing up the mast, it breaks and the boat stops moving. Sailor Sam blows up balloons and they carry the ship over the water until the other sailors fix the mast. Illustrations support interpretation and enhance enjoyment in this narrative text. Illustrative text is used. Speech bubbles are used to convey thoughts. Some sentences begin with dependent clauses. Compound sentences are joined by and. To conclude, an action/consequence chart is shown. In addition, simple activities that include oral, written, and visual communication are presented in the Teacher’s Guide Notes. 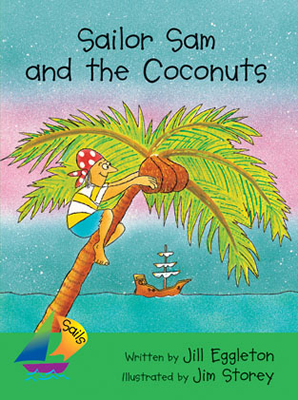 Sailor Sam and the Coconuts is a nonfiction text about Sailor Sam who brings a bunch of coconuts on the ship and gets in trouble from the captain when the begin rolling around; however, when sharks threaten the ship, ship members throw coconuts overboard and the sharks gobble them up, allowing the ship to move faster away from the sharks. Some sentences begin with dependent clauses. Compound sentences are joined by and. To conclude, a story sequence is presented and simple activities that include oral, written, and visual communication are presented in the Teacher’s Guide Notes. 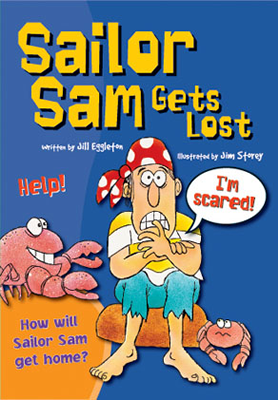 Sailor Sam Up the Mast is a humorous, fictional text about a sailor named Sam who was sent up the mast to keep a lookout for danger. After being wrong about his sightings, he spots a man in the water. The man is saved and Sailor Sam is invited to a party by the captain. Some dialogue is bolded. Some sentences begin with dependent clauses. Simple connectives such as and connect two ideas. To conclude, Sailor Sam’s invitation is shown that includes the information who, where, when, and at what time. In addition, simple activities that include oral, written, and visual communication are presented in the Teacher’s Guide Notes. 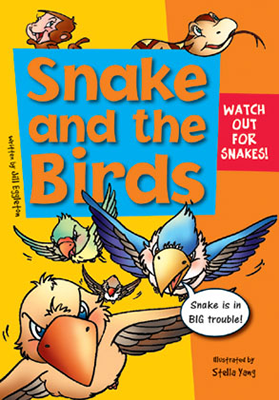 Snake and the Birds is a realistic fiction about a snake who tricks birds who are sitting on their eggs into leaving their nests. Snake tricks many birds and after word spreads, the birds get together and attack snake. Dialogue is bolded and in colour. Some sentences begin with dependent clauses. Simple connectives such as and connect two ideas. To conclude, an action/consequence chart is presented. In addition, a word bank with text and imagery is provided. 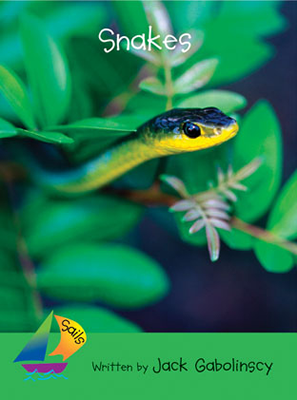 Snakes is an expository text that explores how snakes move, find food, and how they interact with people. Photographs enhance meaning and are labeled. An index is included. Interest words include snake, forest, anaconda, and fangs. Some sentences begin with independent clauses. Some simple connectives such as but are used. An activity that asks students to think about other animals that do not have legs is presented in the Teacher’s Guide Notes. 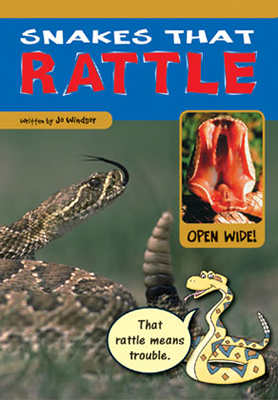 Snakes that Rattle is an expository text that invites readers to learn about what rattlesnakes look like, where they hide, and what they eat. Photographs support important content and are labeled. Illustrations add detail and interest to the text and are found on each page. Callouts prompt prediction and allow students to make inferences. Words like rattle rattle, as well as simple dialogue, appear in large, blue font. An index is presented. Snow is a realistic fiction about a family who gets a new dog named Snow. They learn that dogs like Snow are important sled dogs who used to pull people to places where they could get medicine. The family takes care of Snow and she has puppies. They take pictures and realize that Snow is taking care of her young just like they took care of her. Some long dialogue is used. Illustrations support interpretation and enhance enjoyment. Some illustrations are black and white and express historical significance. Photographs of Snow and her puppies are shown. Some sentences begin with dependent clauses. Simple connectives such as and connect two ideas. To conclude, a sequence chart of a puppy’s birth is shown. In addition, simple activities that include oral, written, and visual communication are presented in the Teacher’s Guide Notes. Spots is an expository text about animals that have spots, such as baby deer, large cats, butterflies, birds’ eggs, and spiders. Images enhance and extend meaning of the text. Some images are labeled. To conclude, the spots of three large cats are shown with captions that provide additional information. Students are encouraged to pinpoint differences. An index is included. 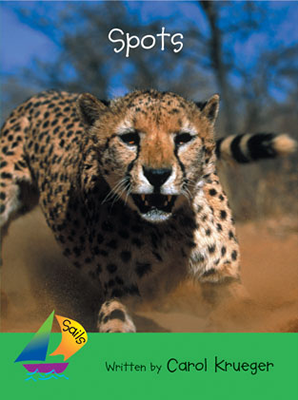 Interest words include leopard, deer, spider, jaguar, and cheetah. Some sentences begin with independent clauses. A drawing activity that asks students to think about why animals have markings on their bodies is presented in the Teacher’s Guide Notes. 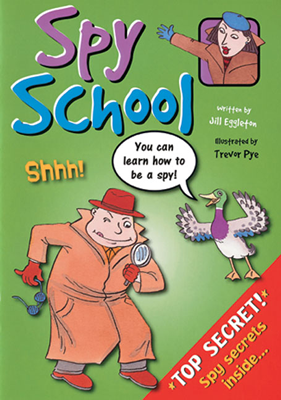 Spy school is a humorous, realistic fiction about a spy whose teacher gives him a task of finding secret messages in a park. The spy finds his last messaged under the Teacher’s hat. Dialogue is bolded and in colour. Some sentences begin with dependent clauses. Simple connectives such as and connect two ideas. To conclude, a messages page is presented where readers differentiate between the correct and incorrect messages from the story. In addition, a word bank with text and imagery is provided. 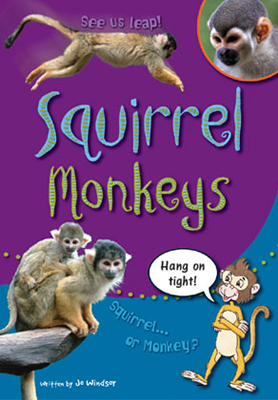 Squirrel Monkeys is an expository text about how squirrel monkeys live, what they eat, the importance of their tails, and how they deal with dangerous situations. Some sentences begin with dependent clauses. There are sentences with nouns, verbs, adjectives, and adverbs that are divided by commas. To conclude, a yes/no chart is presented that asks students questions about the content covered in the book. In addition, a word bank with text and imagery is provided. Stinkers! is an expository text about plants and animals that release unpleasant smells, such as skunk cabbage, skunks, smelly plants, and stinkbugs. Images add interest. On some pages, multiple images of the animal or plant is shown. An index is provided. Interest words include skunk, stinkbugs, pollen, and cabbage. Adjectives such as stinky are used in sentences. Some sentences begin with subordinate clauses. A drawing activity that asks students to think about nice and unpleasant smells is presented in the Teacher’s Guide Notes. 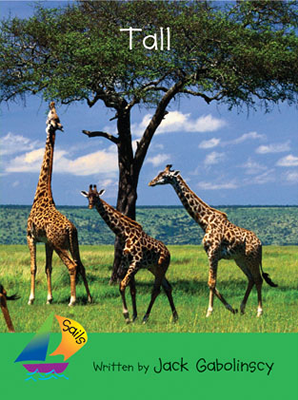 Tall is an expository text about things in the world that are tall, such as buildings, cacti, and ostriches. Scale diagrams are used throughout to illustrate the size difference between the average human and the object of focus. Images are labeled and some captions are provided that add important information. An index is provided. Interest words include giraffe, ostrich, moa, termite, and cacti. Adjectives such as tall are used in sentences. Some sentences begin with subordinate clauses. A drawing activity that asks students to think about advantages and disadvantage of being tall is presented in the Teacher’s Guide Notes. 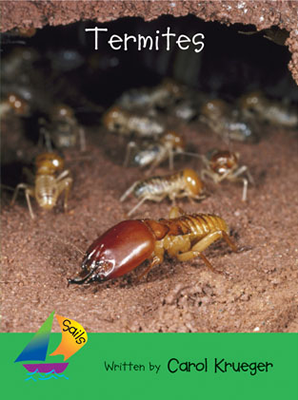 Termites is an expository text about termites that discusses what they eat, their homes, and termite kings, queens, and soldiers. Most photographs are labeled. A cross-sectional diagram illustrates the inside of a termite mound. An index is presented. Interest words include termites, mound, chimney, tunnels, and mushroom. Many adjctives appear. 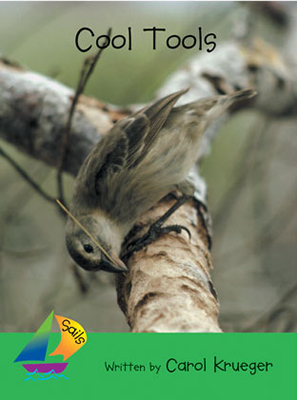 A drawing activity that asks students to think about other animals that that live in nests is presented in the Teacher’s Guide Notes. 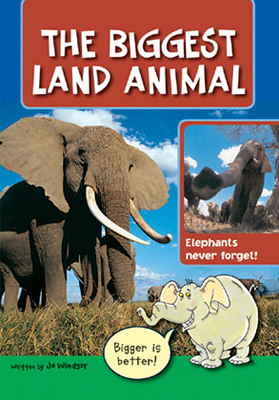 The Biggest Land Animal is an informational text about elephants focusing on the size and purpose of the elephant’s ears, skin, trunk, mouth, and tusks. Mini-quizzes throughout the book prompt comparisons to other animals. The quizzes appear in speech bubbles as the spoken text of a friendly, illustrated elephant. The book concludes with a two-page spread that highlights the use of labels. The book can be divided into several sections, each signaled by large, red display type. Labeled photographs support the text directly. The sentences are simple in structure. Colorful display type adds occasional interest to the text. Exclamation marks are used. An index is provided. The text is composed of familiar vocabulary. An illustrated word bank at the end visually defines words such as flowers, fruit, grass, and sun. 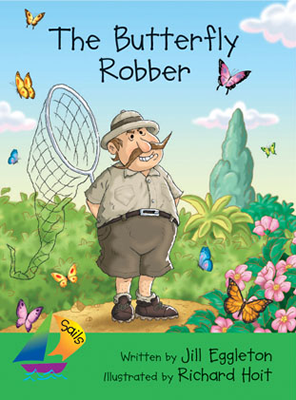 The Butterfly Robber is a fictional narrative about a man who steals all the butterflies from the Butterfly Park. When he realizes the butterflies are getting sick, he releases them back to the Butterfly Park for everyone to enjoy. Some sentences begin with dependent clauses. Simple connectives such as and connect two ideas. Adjectives appear throughout. To conclude, a story sequence with four scenes is presented. In addition, simple activities that include oral, written, and visual communication are presented in the Teacher’s Guide Notes. The Goat’s Beard is a fictional text about a goat whose beard is so long that it gets stuck in everything. When the goat’s beard gets stuck in the wire fence, it pulls it down and all the animals run onto the road. The farmer gathers the animals and trims the goat’s beard. Some sentences begin with dependent clauses. Simple connectives such as and connect two ideas. To conclude, a map of the goat’s trail is shown. In addition, simple activities that include oral, written, and visual communication are presented in the Teacher’s Guide Notes. 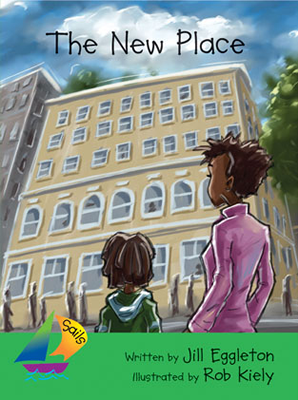 The New Place is a realistic fiction about a young boy named TJ who doesn’t want to move into a new apartment. He quickly realizes that there are many friendly people and the children on his floor take him to the rooftop which has a garden, a road, caves, and a tunnel. TJ changes his mind about the move and loves his new home. Some sentences begin with dependent clauses. The compound word rooftop appears. Many contractions are used. Simple connectives such as and connect two ideas. To conclude, a plan of the rooftop is shown with a legend. In addition, simple activities that include oral, written, and visual communication are presented in the Teacher’s Guide Notes. 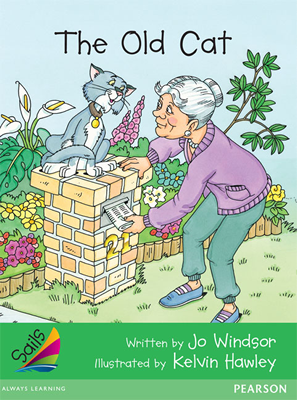 The Old Cat is a realistic fiction about an older lady whose cat gets sick and needs to get 6 drops in her eyes each day. The veterinarian says a tally needs to be taken each time drops are given. The old cat hates the drops, but feels better on the fifth day. Illustrations support interpretation and enhance enjoyment in this narrative text. An eye drop tally is shown on each page with a short description about how the cat’s eyes look. Some sentences begin with dependent clauses. Simple connectives such as and connect two ideas. Adjectives appear throughout. To conclude, a tally chart of all four days is shown. In addition, simple activities that include oral, written, and visual communication are presented in the Teacher’s Guide Notes. 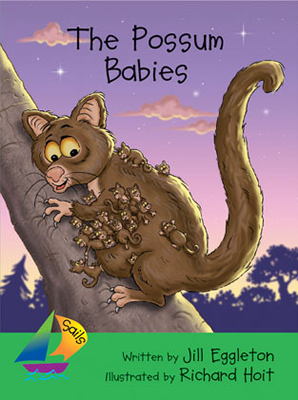 The Possum Babies is an animal fantasy about possum babies who fall off their mother’s tail while she is climbing a tree. The babies try to hold on to the tails of different animals which doesn’t work. After being thrown up in the air by a kangaroo’s tail, the babies land on the mother possum’s tail. Some sentences begin with dependent clauses. Simple connectives such as and connect two ideas. Adverbs appear throughout. To conclude, a story sequence is shown. In addition, simple activities that include oral, written, and visual communication are presented in the Teacher’s Guide Notes. 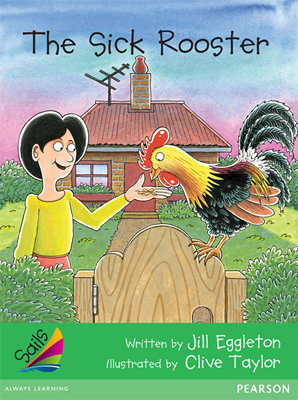 The Sick Rooster is a fictional text about a lady’s rooster who doesn’t crow in the morning. The rooster is taken to the doctor and is prescribed several medications on different occasions. When the doctor recommends the lady gets a new rooster, the apparently sick rooster crows, and the doctor states that the problem with the rooster is that he is lazy. Illustrations support interpretation and enhance enjoyment in this narrative text. Illustrative text is used. Doctor prescriptions are illustrated and include the name, the medicine prescribed, and directions for use. Simple connectives such as and connect two ideas. To conclude, all three prescriptions are shown. In addition, simple activities that include oral, written, and visual communication are presented in the Teacher’s Guide Notes. 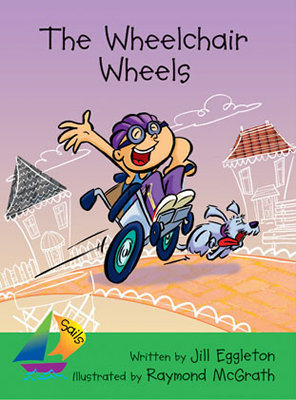 The Wheelchair Wheels is a realistic fiction about a boy in a wheelchair who joins his friends for some fun in the mud. After his wheel gets stuck in the mud and no one can fix it, a friend’s mom takes him to a garage where he gets large, motorbike wheels put on his wheelchair. Illustrations support interpretation and enhance enjoyment in this narrative text. Speech bubbles and illustrative text is used. Some sentences begin with dependent clauses. Simple connectives such as and and but are used. To conclude, a map of hill is shown. In addition, simple activities that include oral, written, and visual communication are presented in the Teacher’s Guide Notes. 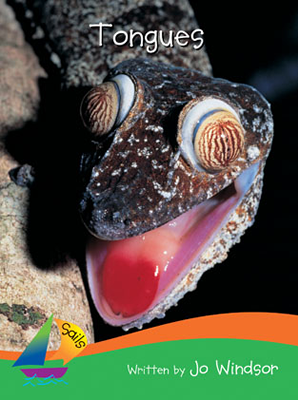 Tongues is an expository text about the different tongues that animals have and how they use them. The tongue of each animal is labeled. An index is presented. Interest words include flick, tongue, sticky, danger, and hiss. Adjectives and adverbs are used in sentences. A drawing activity that asks students to think about the things that animals do with their tongues is presented in the Teacher’s Guide Notes. 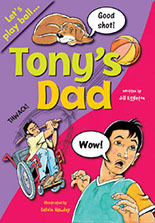 Tony’s Dad is a realistic fiction about a boy named Tony whose dad got hurt and needed to use a wheelchair. Initially, Tony was upset that his dad could no longer pay football with him and hated the wheelchair. Tony’s dad showed his son he was still capable when he introduced a new game, stick ball, that him and his son ended up playing together in wheelchairs, one which Tony made himself. Dialogue is bolded and in colour. Some sentences begin with dependent clauses. Simple connectives such as and connect two ideas. Adjectives appear throughout. To conclude, Tony’s Dads’ wheelchair is labeled and readers are asked to label the wheelchair Tony has made. In addition, a word bank with text and imagery is provided. Tunnels is an expository text about tunnels that can be made above ground, under the ground, and under the sea for various purposes. Illustrations add interest and detail. An index is included. Interest words include mountain, tunnels, river, wire, cables, dynamite, and explode. Adjectives are used in sentences. 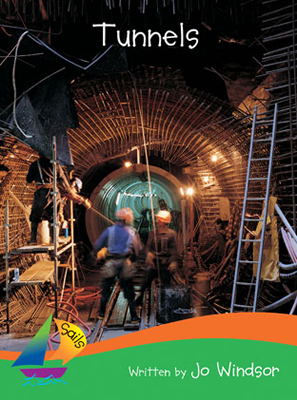 A drawing activity that asks students to think about the different places where tunnels can be found is presented in the Teacher’s Guide Notes. 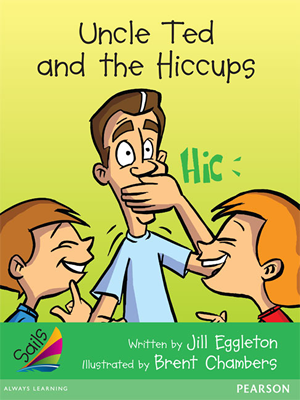 Uncle Ted and the Hiccups is a humorous, fictional text about two twins whose uncle comes down for dinner. After eating spaghetti, Uncle Ted gets hiccups that will not stop. As Uncle Ted begins walking to the hospital, the twins jump out at him with scary masks and scare the hiccups out of him. Some sentences begin with dependent clauses. Simple connectives such as and and but are used. To conclude, instructions on how to make a mask are shown. In addition, simple activities that include oral, written, and visual communication are presented in the Teacher’s Guide Notes. 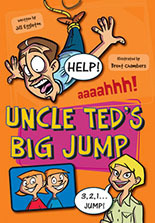 Uncle Ted’s Big Jump is a humorous, realistic fiction about two kids whose favourite uncle, Uncle Ted, comes down to visit. While reading the paper, Uncle Ted spots an advertisement and decides to go bungee jumping. When he jumps, he loses his teeth. Dialogue is bolded and in colour. Some sentences begin with dependent clauses. Simple connectives such as and connect two ideas. Adverbs appear throughout. To conclude, an advertisement page presents an ad for Uncle Ted’s lost teeth. A situation is presented and readers are asked to organize the important information. In addition, a word bank with text and imagery is provided. 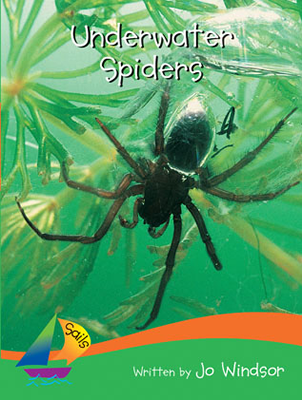 Underwater Spiders is an expository text about how underwater spiders swim, get their food, lay their eggs, and make webs. Some photographs are labeled. An index is presented. Interest words include underwater, pond, web, and bubble. Adjectives are used in sentences. A drawing activity that asks students to think about where spiders can make their webs is presented in the Teacher’s Guide Notes. Using Leaves is an expository text that invites reader to learn about the different ways that animals and insects use leaves. Photographs are labeled. An index is organized by animals that use leaves. The compound word leafcutter is used. A few compound sentences are joined by and. A drawing activity is presented in the Teacher’s Guide Notes. 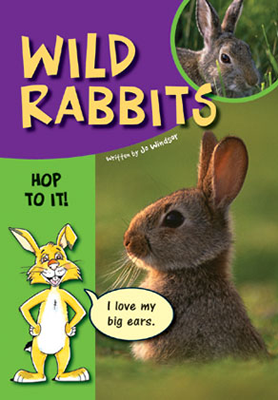 Wild Rabbits is an expository text that invites reader to learn about wild rabbits’ ears, eyes, noses, and tails, as well as their burrows and babies. The book begins by highlighting the three parts of a rabbit that readers will see throughout the text which include the ears, eyes, and nose. Photographs support important content. Illustrations add detail and interest to the text and are found on each page. Callouts prompt prediction and allow students to make inferences. Bullet points are used on one page. An index is presented. The simple connective because is used. To conclude, readers are encouraged to compare a list that presents the characteristics of a wild rabbit to a list that presents the characteristics of a pet rabbit. In addition, a word bank with text and imagery is provided. 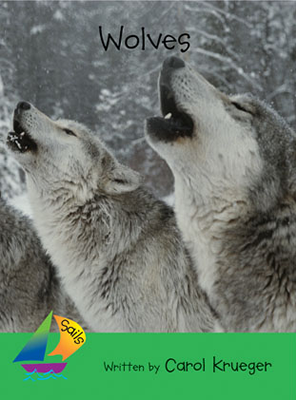 Wolves is an expository text that explores how wolves help humans and one another, how they hunt for food, how they keep warm, and why they howl. Some photographs are labeled. Imagery enhances and extends meaning. An index is included. Interest words include wolf, coat, howl, and pack. Adjectives are used in sentences. A drawing activity that asks students to think why animals needs to move quickly to catch their food is presented in the Teacher’s Guide Notes. 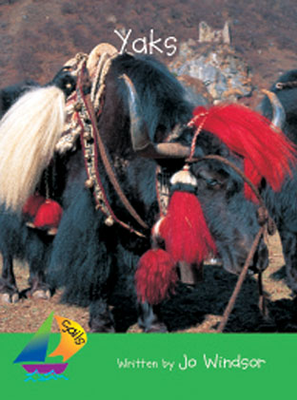 Yaks is an expository text that invites reader to learn about where yak’s live, their coat, and the importance of these animals to people’s survival. The text represents a different way of living that children may not be aware of. Photographs are labeled. An index is presented. Interest words include ground, skin, and droppings. 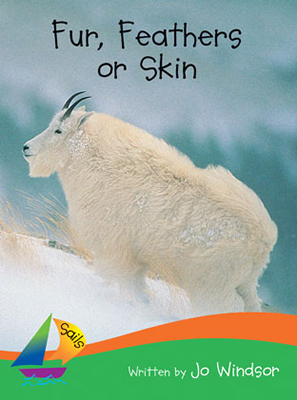 An activity that compares how people use yaks, and other animals, is shown in the Teacher’s Guide Notes.